3) To make sure that everything goes smoothly. How many times have I seen a good inspector inspect a good house alone and then have the buyers change their mind because little things read much bigger on the report. “The decking is not properly fastened to the house” does this mean that one bolt is missing or that the whole thing is ready to collapse? If you you and your buyers weren’t there to see it for yourselves and the house was going to cost them half of a million dollars guess which way the buyers are likely to interpret that phrase? He is definitely backing up my point, that **sometimes** home inspectors are a little “over-the-top”, or perhaps they just use words that put a different idea in the prospect’s mind than intended. This definitely has the potential to kill deals, so be aware of it. 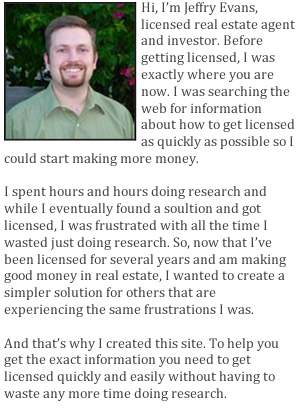 You can check out My Perspective on Home Inspectors for more information.